I'm late to the mini game, but have quickly become addicted. Rochelle and Toralei. My two favorite dolls! This Abbey looks great. I love the lipstick. And I no longer have to search for IHF Abbey after I pick this one up. I hope Venus and Rochelle have darker makeup like this. I had to pick Rochelle. I have an army of her ( only one I'm missing is Ghoul Chat). Picked Venus for my second choice. Awhile back I was thinking of selling my sig. Venus. But, I have a friend who loves her looks and style and he conviced me to keep her. I've had a better appreciation for her since. I got a Squirtle out of a 2k egg and Cubone in a 5k today. Was very happy with it because usually all I get is weddles from the 2k. And I found Tauros at the grocery store. So good pokemon day all around. I love pineapple Deuce and strawberry Draculaura. I never noticed it before but Deuce makes an amazing pineapple. 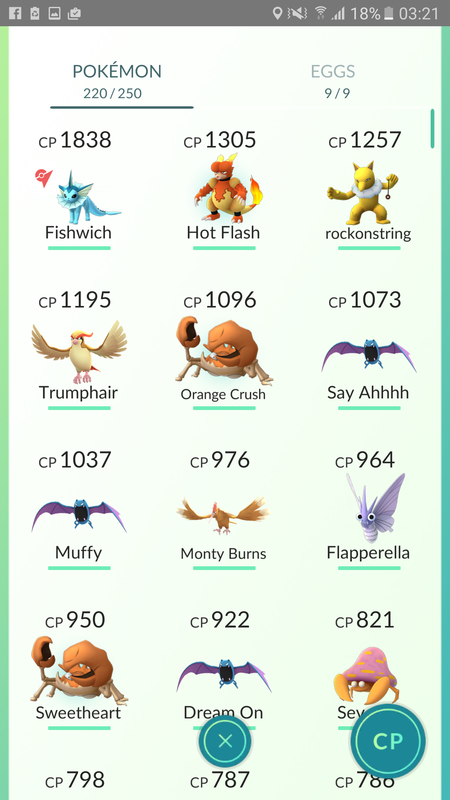 I love the names for your Pokemon. Trumphair made me laugh. Monster Discussion / Re: Who is excited about SDCC? I love the new Venus. It's great to see they kept her flocking. Her crimped hair style and neon dress is just so awesomely 80s! I tried the nickname trick in evolving eevees. It worked! I got my jolteon. Now I just need to hunt for more eevees to get the other two. The Alice Through The Looking Glass blind boxes, finally showed up locally. I have to resist buying several boxes at once. Walked out with Time. I've gotten a bunch of doubles trying to get all three versions of the Cheshire cat. I still need the 1/36 one. Just downloaded this today. So far I have Pikachu, Eevee and Weedle. This was just posted in a Funko facebook group I'm a part of. I'm so glad the two I want the most are 1/12. Awesome! Maleficent and Diablo should be easy to find. I hope if there are exclusive ones, Panic is one of them. It feels incomple just having Pain. I love the Disney villian mystery minis. I'm going to go broke trying to get them all. I just hope Maleficent and Diablo arn't chase figures. Oh, and does anyone know how much bigger than the normal ones are the 'super-sized' pops like Ludo? I also want Sarah just for the worm. Poor unwanted Sarah. 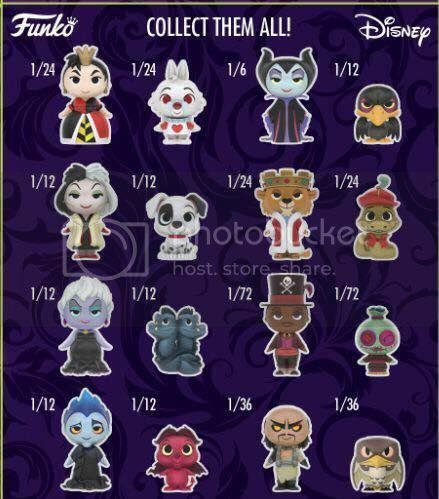 Monster Discussion / Re: SDCC is right around the corner what do you think the exclusives will be ?? Ghostbusters is one of my favorite movies.And Egon was one of my first crushes as a kid. My wallet is going to be screwed. Mattel is really going to have to drop the ball majorly on this to make it something I won't have to have. Off Topic / Re: Happy Birthday, Mori_LeStrange! I really like SW Rochelle and Lagoona. Especially Rochelle's eyepatch. The more pictures of Moanica I see the more I want her. And Draculaura's boots are gorgeous. I'm trying to be cautiously optimistic about the reboot. I've seen the monster ones. Where she's dressed up as a zombie, mummy, Frankenstein monster etc. Even have a bunch of those figures that Funko made. But this is the first time I've seen the Sadako one. That's awesome.